Two modern hotel complexes will open in Petropavlovsk-Kamchatsky on the eve of the summer tourist season of 2019. 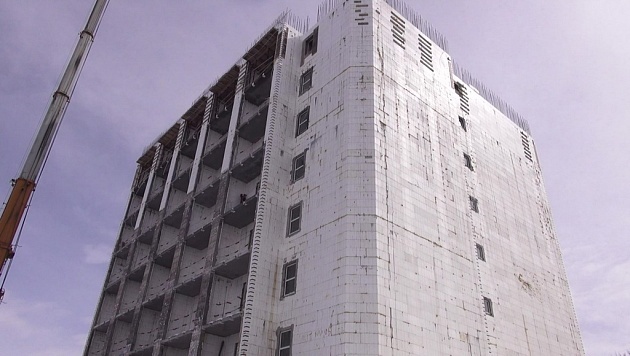 As the head of the agency for tourism and external relations of the Kamchatka Territory Elena Stratonova, hotels of the category “3 stars” for 70 and 25 rooms are being built in the microdistrict on Toporkova Street. They will work in the format of apart-hotels and will be oriented to a mass tourist. The total investment in the construction of these facilities will be about half a billion rubles. Both hotels have large restaurants. The eight-story hotel complex with 70 rooms will be located at the entrance to the microdistrict on Toporkova Street. The approximate cost of the room here is about 5000 rubles per day, including breakfast. The main advantage of the project for the construction of this apartment hotel is the large footage of standard rooms. Their area is about 40 square meters. “The hotel is designed for tourists who come not with business visits, but spend time in Kamchatka, see the expanses and beauty of our region. We have tried to take into account the fact that many athletes, fishermen and hunters come with their inventory and equipment. Some rooms will have safes guarded for weapons. The hotel will also have a restaurant, and guests can be transferred from the airport. We implement the project completely for our own money, from the side of the regional government we have all the necessary administrative support, “said the initiator of the project, the general director of OOO Russky Dvor Nikolai Voronov. The second apartment hotel is being built next to the hotel “Geyser”. There will be 25 rooms, the area of ​​each of which will be slightly less than 40 square meters, but with a very beautiful view of Avacha Bay. We add that this investment project is the largest in the field of construction of tourist infrastructure in Petropavlovsk-Kamchatsky after the project of the company “New House”, which provides for the construction of a 9-storey hotel with 170 rooms on the shore of Kultuchny Lake. Today within the regime of the Free Port of Vladivostok in Kamchatka, investment projects in the sphere of tourism for more than 2 billion 100 million rubles are being implemented. A number of projects worth more than 3 billion rubles are being implemented by residents of the Kamchatka TOR. Also under consideration are applications for an amount exceeding 500 million rubles. Special tax regimes ТОР and СПВ – special economic zones with preferential tax conditions, simplified administrative procedures and other mechanisms of business support, established to attract investment. They are tools for the accelerated development of the Far Eastern Federal District, developed on the initiative of Russian President Vladimir Putin.